RYA Safety Boat Course – A life saver! Do this great course with Elements Watersports, the only RYA school in NZ that runs sailing and windsurf courses throughout the year. Learn from those that know how and are up to date with best practice. Learn more about the course, what's involved, dealing with entrapments and how real life application can save lives. 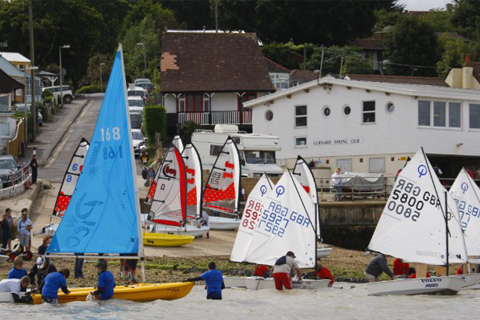 The RYA Safety Boat course is a two day course aimed at those who supervise or provide safety cover for dinghy fleets and windsurfers. It is a very practical course where each student gets hands-on experience of rescuing single-handers; double-handers; full inversions; capsize with spinnaker up, as well as windsurf rescues and possibly kayak and canoe rescue (kayak and canoe rescue may only be covered in theory). 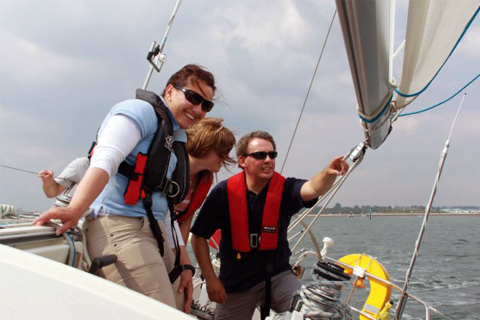 “We would encourage all those working in a support capacity for clubs or centres to consider attending this popular and useful course, and to make full use of the opportunities to practice techniques that the exercises in the course provide,” comments Rachel Andrews, RYA Chief Instructor, Motor Cruising and Power. 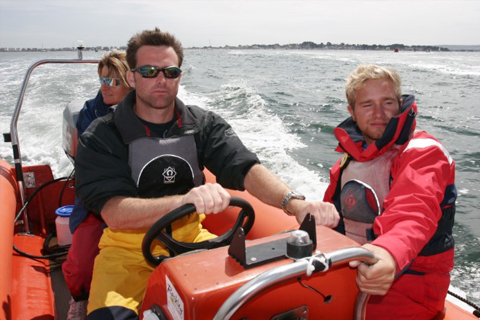 The course focusses on safe powerboat driving and how to use the stricken boat’s crew to assist in their own rescue. You’ll also discuss different scenarios, mark laying and learn how to set safe courses. “The course is undoubtedly a tiring one as there is plenty of rescuing action, but most students really enjoy the thrill of affecting a good rescue,” concluded Rachel. One aspect of the course is dealing with entrapments. 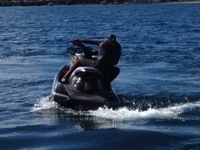 We all know there is a risk of entrapment when a dinghy capsizes. Avoidance techniques and rescue procedures are many and varied, but there are two recurring themes. Firstly, in a training situation the use of a masthead float would, in most situations, prevent complete inversion. The fact that an entangled crew member’s head would be close to or on the surface, would allow them to at least take a breath and buy them some time while others deal with trying to free them. Secondly, if a dinghy needs to be righted quickly, the traditional method of two hefty folk on the upturned hull applying leverage to the centreboard will bring the dinghy to 90 degrees as quickly, if not quicker, than any other method. A day boat was being raced in a regatta, helmed by a disabled gentleman with a crew of three experienced sailors. During a downwind leg, the boat inadvertently gybed and inverted, and the helm was trapped underwater beneath the hull. The situation was exacerbated by a modification to the boat and the fact that the helm was wearing an automatically inflated lifejacket. The day boat crew and the crew of the attending RIB made brave attempts to reach the trapped sailor, but it was only once of the RIB’s crew used a line to right the craft, were they able to reach the helm, who by then had stopped breathing. Fortunately, due to the prompt first aid given, the helm began to breathe for himself and was quickly evacuated to hospital by the local air ambulance, where he made a full recovery. Investigation after the event revealed that the crew of the RIB concerned had been on a RYA Safety Boat course and had received training on how to right inverted dinghies - a significant factor in this case. Sadly, entrapments continue to occur, occasionally with deadly results, but with the right training there are some encouraging signs that it can be avoided, as our case study illustrates. Today we upskilled and certified several of the Team at Taupo Harbour Masters Office. A stunning blue bird day that wasn't as cold as it looks! Talking about Chanel markers was made all the more memorable today due to a pod of dolphins feeding as we went past. Fantastic. Hi, one of the things that makes running elements watersports so much fun is the variety. For example in the last few days I've been teaching powerboating and VHF from a super yacht in Auckland Harbour and then back in Tauranga getting a new sailor cruising up and down wind in an Omega dinghy from Kulim Park, Tauranga Harbour). This variety is not just good for us, it's often given as the reason for why students choose us, particularly on the more advanced or big group bookings. When run an activity we are also drawing on delivery methods and skills from other activities. In my experience the best seasoned instructors always have a random coaching qualification, gained to improve instructional technique/ diversity. In my case it's a basketball coach award, I can't say I've used it much on a court but it comes to mind every time I develop drills and brief groups for an activity.